The difficulty with chewing or swallowing food, or its taste or texture. Promote policies and programs at school, at work, and in the community that makes the healthy choice the easy choice. Evidence shows that regular physical activity provides important health benefits for people with disabilities. External Benefits include improved cardiovascular and muscle fitness, mental health, balance, and a better ability to do tasks of daily life. Children and adults with mobility limitations and intellectual or learning disabilities are at greatest risk for obesity. By 2025, India will have over 17 million obese children and stand second among 184 countries where the number of obese children is concerned, according to a study. People who are overweight or obese can: find it harder to move around, find and keep work, have lower self-esteem and be affected by mental health, and have a higher risk of getting type 2 diabetes, heart disease and certain cancers. -Obesity can be caused by a poor nutritional diet. By making healthier choices and eating a balanced diet you can reduce your calorie intake and reduce the threat of obesity. To evade hunger, eat smaller meals regularly as this helps keep your metabolism up without snacking on foods with high sugar content. Don’t feel the need to finish everything on your plate if you are starting to feel full. Swap junk food, processed foods and takeaways for healthier substitutes. Don’t stock unhealthy options at home. -Many soft and alcoholic drinks are high in sugar. Too much sugar can lead to weight gain and obesity. Fizzy drinks, instant powered drinks, squashes and juice drinks can contain a lot of added sugar yet very few nutrients. Fruit juices and smoothies are often thought to be a healthy option but they contain sugar so you should limit your consumption to a combined total of 150ml a day. Calories from alcohol are ’empty calories’, they have no nutritional value. Your body can’t store alcohol so processes such as absorbing nutrients and burning fat are interrupted to get rid of the alcohol. You can still drink alcohol but aim to drink less. Many alcoholic brands now have‘light’ or low alcohol alternatives that you could try or opt for a low-calorie mixer such as diet coke. Drinking water between alcoholic drinks can reduce the number of units you’re drinking. -To reduce your weight or keep weight loss off you’ll need to keep active. Try to make physical activity part of your daily routine. Simply walking or jogging on a daily basis can help control your weight and improve your health and well being. Try to find an exercise that you enjoy. Perhaps swimming or a team sport would suit. Maybe cycling could be corporate into your day so that you cycle to work rather than drive or perhaps you could take the stairs rather than the lift up to your office. Often talking to a professional about your eating habits can help to understand them more and with this information, you may be able to make positive steps to overcome overeating or comfort eating. You might choose to talk to a friend or family member and gain the support you need from them to feel better. -If you’re obese and you’ve tried to lose weight by dieting and exercise, but you haven’t achieved or maintained a beneficial level of weight loss, or you have a serious health condition that could be improved if you lose weight, such as type 2 diabetes or high blood pressure, then weight loss treatment or surgery may be the best option for you. Hope obesity centre is a leading provider of weight loss surgery in Ahmedabad-Gujarat(India). Ramsay offers weight loss procedures performed by experienced bariatric surgeons who are highly qualified and have undergone intensive specialist training. At Hope obesity centre your weight loss surgeon will work in a multidisciplinary team who liaise with each other to provide the best plan of action for you. They include a dietitian who will meet with you and produce a bespoke eating plan and specialist trained nurses who will be by your side during your journey to offer support and guidance to ensure that you achieve your goals. A healthy BMI ranges from 17.5 – 25 kg/m2. If your body mass index is 40 or higher, you are considered extremely obese or morbidly obese. Check out the American Heart Association’s BMI calculator for adults to determine if your weight is in a healthy range. Doctors use BMI to define severe obesity rather than a certain number of pounds or a set weight limit because BMI factors weight in relation to height. You can continue the level of physical activity that you’re already doing but check with your physician before increasing it. Children with obesity can be bullied and teased more than their normal-weight peers. They are also more likely to suffer from social isolation, depression, and lower self-esteem. The effects of this can last into adulthood. Children with obesity are at higher risk for having other chronic health conditions and diseases, such as asthma, sleep apnea, bone, and joint problems, and type 2 diabetes. Type 2 diabetes is increasingly being reported among children who are overweight. The onset of diabetes in children can lead to heart disease and kidney failure. Children with obesity also have more risk factors for heart disease like high blood pressure and high cholesterol than their normal-weight peers. In a population-based sample of 5- to 17-year-olds, almost 60% of children who were overweight had at least one risk factor for cardiovascular disease (CVD), and 25% had two or more CVD risk factors. Author hopeobesitycentrePosted on 03/04/2019 Categories Child Obesity, Obesity, Obesity Doctor, Weight loss surgeryTags Hope obesity centre, ObesityLeave a comment on Why Is Childhood Obesity Considered a Health Problem? The simplest way to lose weight! Most people are not aware of the fact that simple tweaks in your lifestyle can also do wonders. These small changes can help you in losing weight, without starving yourself. A lot of people, in order to lose weight, don’t eat breakfast. But this is actually counterproductive. Not only will skipping breakfast make you feel weak and irritable, but you are also bound to eat more throughout the day. So, if you are looking to shed a few kilos, start by eating your breakfast on time. If you feel that you are doing your body a favor by having carbonated drinks to satisfy your cravings, your calculations are really, really wrong. The worst part is that you not only consume a lot of calories by drinking these sweetened drinks, but they also don’t even reduce your hunger. So, cut off soft drinks or packaged juices and stick to plain water. If you want more flavor, you can always infuse fresh fruits in the water. That non-stop munching that you do while sitting on your workstation tapping away on your laptop does more harm than you realize. Whether it is a packet of chips or nuts, all these junk food contain preservatives which are really harmful to your health and may also contribute to weight gain. This is the simplest trick of the lot, which can bring the most change in your weight. Take the staircase whenever possible, get up and walk while you are talking on the phone and get up and walk around the house during commercial breaks. Get down 5 minutes away from your house and walk home from there. We cannot emphasize enough on the importance of having fresh fruits. Keep in mind that you should always have whole fruits instead of making a fruit chaat of assorted fruits. This will help you include fiber in your daily diet which in turn will help with your digestion. We always underestimate the importance of having a good night’s sleep. Having quality sleep plays a very essential role in staying healthy and losing weight. Author hopeobesitycentrePosted on 19/03/2019 25/03/2019 Categories UncategorizedTags Hope obesity clinic, Obesity, Weight loss surgeryLeave a comment on The simplest way to lose weight! Obesity increases systemic inflammation and the likelihood of respiratory stress which cannot only exacerbate asthma symptoms but also increase the likelihood of developing asthma. Obesity (especially the morbid variety) has a direct impact on skin health in a number of ways. Stretch marks, varicose veins, skin tags, darkened skin patches, and skin infections are common among obese people. Blood circulation to the skin is altered by higher-than-normal levels of subcutaneous fat. Excess sweating can occur, the skin can dry out and cause psoriasis, and collagen production can be impeded. Shedding the excess weight can dramatically improve the skin’s appearance, helping you look more vital and youthful. According to the Obesity Action Coalition, depression and weight gain go hand-in-hand, with obese people being 20 percent more likely to feel depressed. But does depression cause weight gain, or does weight gain cause depression? Both, actually. Depression leads to a lack of activity and potential binge eating. Obesity affects self-esteem which can lead to depression. By losing weight, you are helping to restore the natural balance of the body, which has a hormonal ripple effect that can drastically improve mood. Arthritis is an inflammatory condition, so it stands to reason that the inflammation associated with obesity can impact arthritic conditions. Osteoarthritis (OA) is the most common form of arthritis. It occurs when the cartilage at the end of bones breaks down. Although this can occur naturally with age, excess weight further taxes the joints and wears down cartilage quicker. According to the Arthritis Foundation, every pound of excess weight results in an additional four pounds of added pressure on the knees. By dropping weight, you relieve the added stress and diminish the potential for arthritic problems. Studies have linked obesity and high blood pressure with loss of memory and cognitive skills in people aged 50 and over. Other studies also determined that obese people who underwent bariatric surgery achieved improved memory 12 weeks after the fact. It is also believed that middle-aged obesity heightens the risk of dementia later in life. Sleep apnea can increase your risk for high blood pressure, heart disease, stroke, diabetes and more. Excess weight in the neck and trunk area can put stress on the respiratory system and cause sleep apnea. Dieting and exercise are the healthiest options for losing weight, but when it comes to dramatic weight loss, lifestyle and dietary changes are sometimes not enough. Weight loss surgeries have become increasingly popular because they make it easier for obese people to jumpstart a successful lifestyle and dietary changes that can dramatically improve the quality of life. But losing weight is just the tip of the iceberg. Gastric plication more than halves the size of your stomach to limit the amount of food you can eat at any one time. This is achieved by folding the stomach wall inward and suturing it in place over a sizing tube. (No cutting, no stapling.) After the stomach is freed from the attachments in the abdomen it is folded and stitched, and the sizing tube is removed. Gastric plication involves sewing one or more large folds in your stomach. Stitches are placed in the stomach to secure the folded stomach wall. This reduces the stomach volume by as much as 70 percent. As such, your stomach can no longer hold the volume of food it used to. You will feel fuller sooner, and this results in weight loss. In the very few reports available, most patients lost 40 to 60 percent of their excess body weight during the first year after surgery. As with other procedures that cause massive weight loss, there may also be improvements in many obesity-related conditions. Some may resolve altogether after gastric plication. These include diabetes, high blood pressure, sleep apnea, and abnormal cholesterol levels. Unlike gastric bypass surgery, there is no stapling involved with gastric plication. No part of the stomach or intestines is cut or removed either. They are just folded from within. Gastric plication can possibly be reversed, but it is thought to be more difficult than reversing gastric banding with Lap Band or the Realize Band. It can also be converted to another procedure down the road. Experts have compared it to sleeve gastrectomy surgery, minus the cutting and stapling of the stomach. 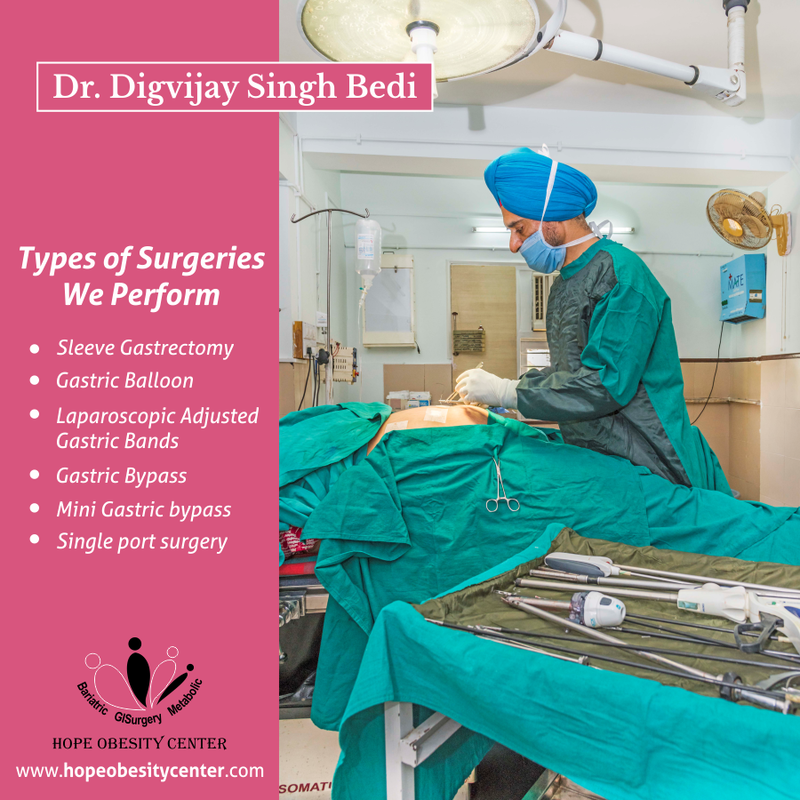 Your surgeon performs gastric plication laparoscopically via five or six tiny incisions in the abdomen. A video camera (laparoscope) and long, thin instruments are placed through these small incisions to allow your surgeon access to your stomach. There is a risk that he or she will have to convert to open surgery during the procedure. If you have a body mass index (BMI) of greater than 35 with one or more obesity-related conditions such as diabetes, sleep apnea or high blood pressure, you may be a candidate for gastric plication or another bariatric surgery. You may also be a candidate if you have a BMI of 40 or more, even without the presence of any other obesity-related diseases. As it stands, this procedure is considered experimental as a primary weight loss surgery. This means it may only be offered as part of a clinical trial for now. The best and only way to determine which, if any, bariatric surgery is right for you is to schedule a consultation with an experienced weight loss surgeon. He or she will take a thorough weight loss history and discuss all of the alternatives, including gastric plication. Start your search for the right surgeon now. Gastric plication takes one to two hours to perform. Many people will stay in the hospital for up to two days after the procedure. You may feel nauseated during the first few days. Your recovery begins almost immediately after your surgery as you gradually begin to get used to your new way of eating. This starts with a two-week liquid diet that likely will include water, milk, fruit juice, and sherbet. The next few weeks will involve thicker liquids such as soup with some vegetables, and eventually, you can try yogurts and fruits. After this, you will be able to eat all foods in restricted amounts. In general, the maximum volume is four spoonfuls of food per meal. Most surgeons recommend that you opt for nutritionally dense foods and avoid carbohydrates and fat. Gastric plication does not cause decreased absorption of nutrients or bypass your intestines. You may still need to take vitamins or minerals after your surgery because you won’t be eating as much as you used to, and this can result in a shortfall of important nutrients. Discuss this with your surgeon prior to your surgery, and develop a monitoring plan so you can catch any deficiencies early, should they occur. All surgeries have risks. When we discuss the risks of any bariatric surgery, they must be compared to the serious risks associated with obesity. Risks include bleeding, blood clots, infection, and injury to other organs. There is also the possibility that your surgeon will need to convert to an open (non-laparoscopic) procedure midstream. Hope obesity centre Blog at WordPress.com.